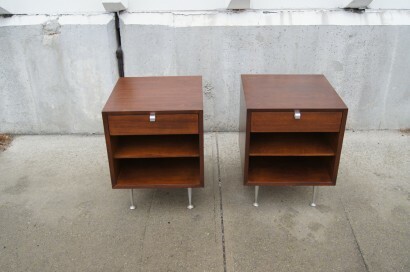 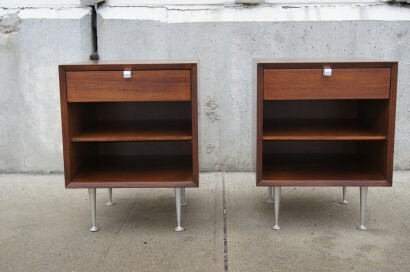 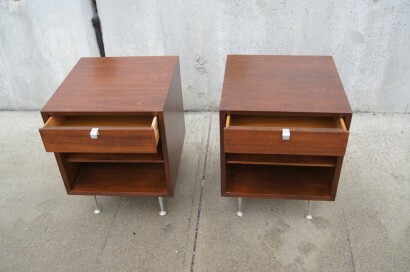 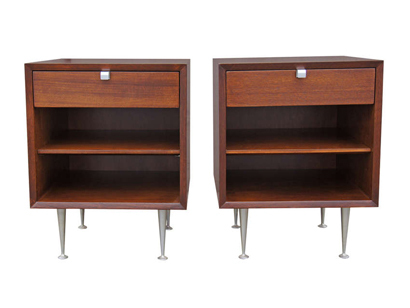 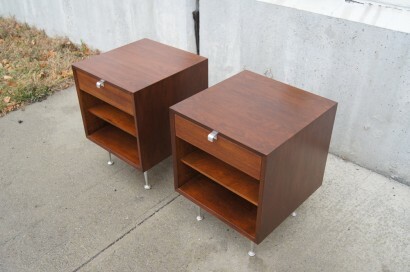 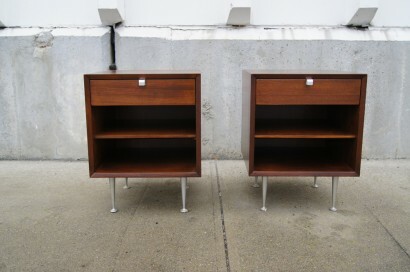 This pair of night tables, designed by George Nelson for Herman Miller, is constructed of walnut and features satin chrome J-shaped drawer pulls and rare satin chrome tapered legs. 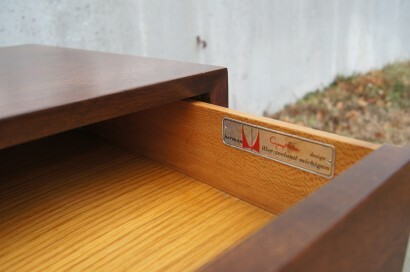 Each nightstand features one drawer above an open storage area with one shelf. 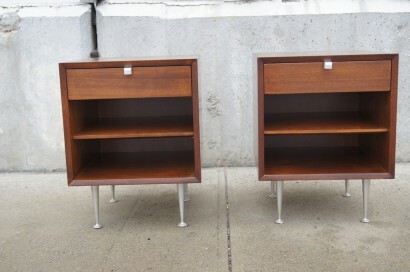 Corresponding large dresser and pair of small dressers also available.